Everyone has a tale about being ripped off by a taxi driver when they visit a foreign country, however when you live permanently abroad you may be targeted too. Read our tips on how to avoid pitfalls and what your consumer rights are. It goes without saying that you should only use legally licensed taxis. They are subject to regulation regarding pricing and safety, you are also protected both regarding your consumer rights and in the unfortunate case of an accident. Taxis in Spain have different colours depending on the city where they are located. All are clearly marked and inside there’s a card with the driver details and taxi license number. All taxis must have current tariffs and supplements clearly visible, on the rear windows or behind the front seats. Additionally the taximeter must be in view of the passengers and not hidden away. Most taxi drivers are able to provide a printed receipt, whilst others will complete a blank template, both must show the license number. You have a legal right to request a receipt, and will need one in case of any claim for overcharging. All taxi drivers must also carry official claims forms. Before you leave the taxi make sure you note down the taxi license number, date, time of day and the route taken. Passengers have a right to choose the route they wish to take, check on Google Maps before you travel. The meter moves according to distance, not speed, but the meter also ticks over during traffic jams and at traffic lights. 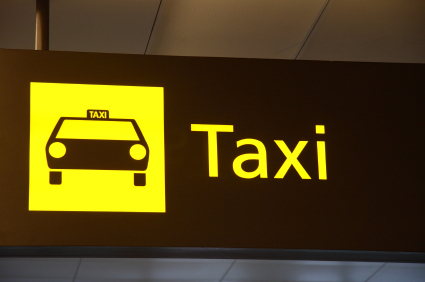 Drivers can charge for waiting time, if you book a taxi to pick you up don’t keep the driver waiting! Many regions include an initial cost plus the distance travelled. Some also fix a minimum fare regardless of how far you travel. Night tariffs can be expensive, at around 30% more. If you want to make a longer journey, for example between two towns, this is fixed by regional authorities and covers the whole cost of the trip for the taxi driver. Going to or from the airport or train station is sometimes subject to a supplement, depending on the city. This can be confusing as it can result in different costs depending on where the trip originates, once again these supplements appear on the list of tariffs inside the taxi. A fixed price is charged in Madrid for trips from the airport to the city centre in order to avoid tourists and business travellers from paying over the odds. Remember that for these apps to work, you’ll need to have your GPS location activated. There have been lots of issues with Uber since they launched in Spain. As of April 2018 Uber covers Madrid, Barcelona with more cities coming soon. Just download the Uber app, register and request a car for your route, the app will show the price. You’ll need to register your credit card details also (no prepaid cards) for charging fares automatically. In Spain you’ll have to reserve 6 hours before travel time. Download the Cabify app and register, include your payment details (credit card or PayPal).